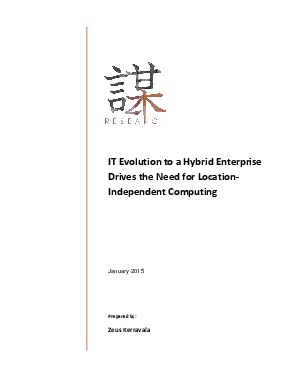 As enterprise computing has evolved, businesses have been shifting to a “hybrid enterprise” where core applications and data can be located in private data centers and public clouds. The growth of hybrid cloud deployments accelerated the transition to hybrid wide-area networks (WANs). Private networks, such as MPLS, are being joined by Internet connections that offer a choice in delivery channels—costly, but predictable, networks for mission-critical loads and cheaper public networks for bulk loads such as data backups.